Strawberry Stripe Print. 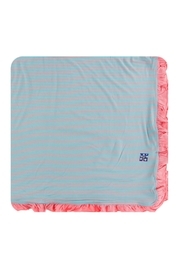 Blanket measures 42" x 62". 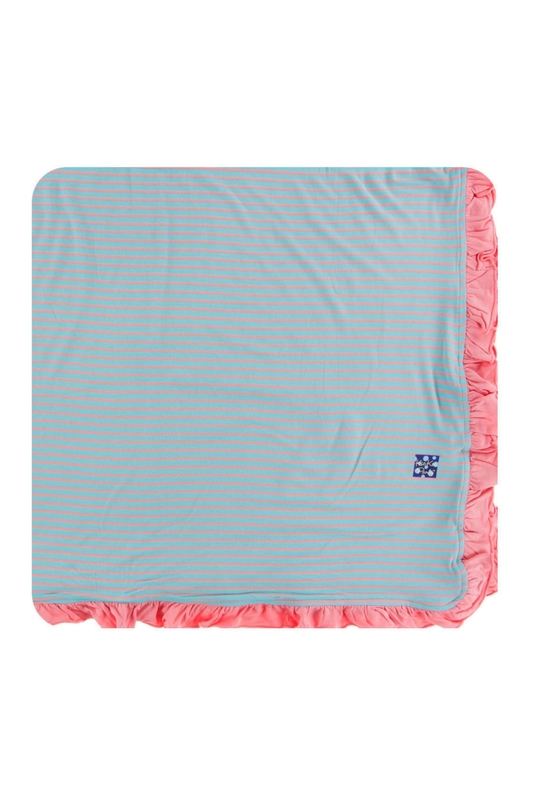 Perfectly sized for your growing sprout, our Ruffle Toddler Blanket has the same cloud-like softness and just the right amount of stretch as popular other KicKee Pants baby blankets. Double-layer construction adds warmth and coziness. Edged with a sweet ruffle.